/ What Kind of “Earthquakes” (Mt 24:7) Are An End Time Sign? Matthew 24:7-8 (HCSB) — For nation will rise up against nation, and kingdom against kingdom. There will be famines, and earthquakes in various places. 8 All these events are the beginning of birth pains. Mark 13:8 (HCSB) — For nation will rise up against nation, and kingdom against kingdom. There will be earthquakes in various places, and famines. These are the beginning of birth pains. Luke 21:9–11 (HCSB) — When you hear of wars and rebellions, don’t be alarmed. Indeed, these things must take place first, but the end won’t come right away.” 10 Then He told them: “Nation will be raised up against nation, and kingdom against kingdom. 11 There will be violent earthquakes, and famines and plagues [pestilences] in various places. When you read this passage, it can appear to indicate that increasing earthquakes are sign of the end time. Or perhaps that increasing scattered famines and plagues or "pestilences" with increasing earthquakes together are. But there's an immediate problem. Earthquakes are not increasing according to both the USGS and the British GS. Given that scientific fact, it makes sense to look at the passage again. How do we know what the passage means? Lately I have been focusing more on teaching my readers how to fish, instead of simply giving them a fish. In my blog post on Did the Chilean Earthquake fulfill “Unless Those Days Were Shortened” (Mt 24:22)?, I covered two approaches to understanding passages like that one which are open to interpretation. The first approach is critical thinking. We will use this below to rule out any chance that normal random earthquakes in just any place can be what Jesus was referring to. The second approach is to compare different Bible versions to see what light they can shed. This approach taken to the limit will enable us to finally home in on the original thought that Jesus communicated. The results are quite thrilling. Like everyone else, for the longest time I thought the “earthquakes in divers places” simply meant more and more earthquakes. Except something always seemed off in those words to my already logical mind (I began programming computers in my early teens and read the Bible at age 16). When I thought about this passage, I puzzled over the word translated “various” or “diverse” (KJV). It did not seem very helpful to say that. You could leave the “various places” completely off and it would not change the meaning. In other words, it added nothing to the thought of "there will be earthquakes..."
That's because we all are accustomed to earthquakes happening here and there and potentially everywhere. This despite the fact that the most severe ones seem to happen along tectonic plates like the "pacific ring of fire." For example, I experienced my first and last earthquake (until moving to Costa Rica) in Connecticut where I grew up. Connecticut, of course, is not the US state beginning with a 'C' that is known as a hotbed of earthquakes. Thus, earthquakes "in various places" is the normal behavior of historical earthquake activity. It tells us nothing and is a curious statement. I was happy to notice this oddity and to question if "various places" was possibly one of the many minor transmission errors we bear with in the Biblical manuscripts passed down to us. Naturally, I was unsatisfied until I solved the dilemma. It was quite thrilling when I finally found it twenty years later. How I did it was by using the next strategy: comparing Bible versions...with patience. We have an embarrassment of riches in the English-speaking world when it comes to tools for believers. Not only do we have the most Bible teachers and teachings, we have something else most of us take for granted and do not fully appreciate: the best Bibles. We have a plethora of Bible versions to consult. Few realize how much work on how many levels goes into producing one of these versions. Each version is generally the result of a team of scholars working over several years. Yet they are not just translating. They are comparing variant reading and critically considering which one most likely preserves the original reading. You see, there is not just one manuscript of the entire Bible that you simply go from start to end translating we first imagine. You have to weave a Bible together from many sources just like a tapestry comes from many fabrics of cloth. Missing this reality, some people think the safest approach to getting to the truth of the Bible is to learn to read ancient Hebrew fluently. They learn Hebrew and get themselves a standard Jewish Masoretic Text (MT, the oldest complete Hebrew version of the Bible) and have a go at it. They do not realize they only have faint grasp of one piece of the puzzle that makes up the Bible we know today. They are missing out on the other sources of the Greek Septuagint, the Dead Sea Scrolls, the Syriac Peshitta, Aramaic Targums, Latin Vulgate, etc., not to mention other Hebrew sources. One example of a flaw in the Hebrew Masoretic is found in Psalm 22:16. It reads differently than your Christian Bible. It nonsensically says, “Like a lion, my hands and my feet” instead of the readily understandable “they have pierced my hands and my feet.” The manuscripts are full of such variations and it takes great care to choose which one to put into your Bible version (and which one at times to footnote as an significant alternate reading to consider). Of course, I should hasten to add that none of these variations affects the key messages of the Bible such as “salvation” but they do affect some of the mysteries we would like to understand as we shall see. The New Testament has the same challenge of many variations. As a result, there are thousands of Greek manuscripts and small manuscript fragments to choose from for Bible translation team to assemble into their English New Testament. If you have ever been frustrated at how different Bible versions can read so radically different, now you know why. But knowing this can now take away the frustration and replace it with a strategy for solving many "Bible contradictions" or difficult passages you will encounter. If you consult multiple Bible versions looking for major differences, you might find a version that goes with a different manuscript reading than most of the rest. Sometimes that reading makes more sense with the verses you are bringing into the discussion which the translation teams were not weighing when they choose from all the variations to use. Unfortunately, when you compare every mainstream Bible you will not find any such help for this passage in the Olivet Discourse. They all say the same thing about earthquakes in various places. However, that's only with mainstream Bibles. These Bibles all make the same standard assumption about which manuscripts to take seriously. They do this because they accept the mainstream scholarly view that Jesus spoke primarily Greek (with only some Aramaic and Hebrew) and that the NT was originally written in Greek. Thus, they give Greek manuscripts priority and do not factor in several Hebrew NT manuscripts (considered by them to be translations from a Greek source). But what if they are wrong and Jesus spoke Hebrew and the NT was transmitted originally from a Semitic (Hebrew or Aramaic) source? What if books like the Hebrew Shem Tov Matthew are not translations from the “original” Greek as is assumed, but potentially a non-translated transmission of an original Semitic text (with its own imperfections and errors)? That would mean these Bible committees are ignoring some important texts for getting to the original words of Jesus that the Greek texts have not preserved. Could all these Christian Bible committees be wrong on this point? As I have studied the Bible over the years, I have found more and more that for the difficult questions and mysteries of the Bible (and in life), the majority is often not correct. The answer is among the fringe. Doctrine after doctrine that the mainstream accepts as true, I have found to be false by studying the Bible directly (e.g., popular pretrib rapture vs. fringe post-trib rapture). How can this be? According to the Bible, we are living in Satan's world (2Co 4:4) who deceives everyone in it (Rev 12:9)—including believers. That's why we are told to prove all things and hold fast to what is true (1Th 5:21). I'm not alone in thinking this. Scholars like Roy Blizzard, Jr. using the internal evidence of the Greek text itself prove that Jesus spoke Hebrew. His book The Difficult Word of Jesus (with David Bivin) makes the case that much of the NT was originally given in Hebrew. Nehemia Gordon is a Karaite Jewish Ancient Hebrew scholar who has worked on the Dead Seas Scrolls translation. Even though he is not Messianic, he showed in his book The Hebrew Yeshua vs. the Greek Jesus much evidence for the position that the Hebrew Shem Tov Matthew must have come from an original Hebrew source. For example, he found decorative embellishments in the prose that no translator would bother to put, such as grammatical puns or a play on words that only work in the Hebrew. You will hear claims that the Hebrew Matthew we have today is not the same as what they had or is unreliable. This may be true, but it does not mean these texts are not useful in preserving some original readings that are lost from the Greek texts. I encourage each to research the newest evidence coming to light himself and decide for himself rather than simply assume classic majority scholarly view on this subject is the right view. Matthew 24:7 (HRV)—For nation will rise up against nation, and kingdom against kingdom. There will be famines, and earthquakes in every place. I had not forgotten my problems with this passage. This Bible said not “various places” but “every place.” That's a modifier to "earthquakes" that is significant and makes perfect sense in context. What if an event came whereby there was a great earthquake over the entire earth? Imagine a major earthquake happening in every city and place on earth at the same time? It would be devastating! Now what would follow such devastation? Food and water shortages and sickness always follow in a city struck by a major earthquake. The infrastructure and organization needed to deliver food and care is smashed. What keeps them from erupting into serious famine and plague is all the aid streaming in from the world. However, a global earthquake hitting every city at the same time would flip upside down the ratio of those needing help to those able to provide help. Global famine and disease would surely follow. It may sound impossible, but such a global earthquake scenario depicted in another prophetic passage of the Bible which parallels the start of the Olivet Discourse. I'm referring to the seven seals of Revelation. The 6th seal of Revelation depicts a global earthquake that is so powerful it moves every mountain and island out of place. In other words, this is equivalent to what Jesus said about earthquakes happening in every place. If you think it must be allegorical because God could never allow such a thing that would surely bring the end of the world then consider the reaction described. Just as you would expect the global population reacts by running to high ground and in caves where they can find protection from the ensuing tsunamis and the falling meteorites described. Their guess is that it's “Judgment Day” and “we're all gonna die” much like you see characterized in the modern Hollywood disaster movie. However, it is important to note that this is not a trustworthy assessment of the event we readers should accept as doctrine. Unfortunately, this declaration about the Wrath of God comes from the lips of scared masses, not from God, Jesus, John, or an angel. The real “wrath of the lamb” and Day of the LORD are the seven bowls of wrath and they start in Revelation 15 and end in Revelation 19). One problem with my parallel theory is that we do not seem to find in the Matthew 24 any mention of these cosmic disturbances in conjunction with the earthquakes, plagues and famines. Is it a mismatch? Luckily, it is there and I found it thanks to my habit of daily and continually rereading the entire Bible. The book is so big and hard to understand it demands this approach to catch everything there that is so easily missed in even a few complete readings. Each time you read your mindset and paradigm filters out things and allows other things in. We perceive differently as we age and mature. Luke 21:11 (HCSB) — There will be violent earthquakes, and famines and plagues [pestilences] in various places, and there will be terrifying sights and great signs from heaven. Wow! For years I had glossed right over that little additional clause in Luke, the one which Matthew and Mark omit. It was very easy to do this. When I wanted to consult the Olivet Discourse, where did I go but always to “Matthew 24” which has been seared in my brain since my teens as a favorite fascinating chapter. Much like the Christian Bible committees, I had not paid enough attention to all the variations in all the (Gospel) sources for Jesus words in my quest to find the most complete and most original reading. Thanks to this insight, we have a complete parallel on this coming earthquake disaster. It points to a global disaster that comes from space. If you keep reading in Revelation 7 and 8 you find out that a "star" (or aster, Greek, that I think is specifically a dwarf planet) called Wormwood will come dangerously close to the earth and cause far worse than just the earthquake. It will cause a meteorite storm burning up all the grass (1st Trumpet), an asteroid impact in the ocean (2nd Trumpet), the fresh waters to be made bitter (3rd Trumpet) and a reduction in the warming sunlight needed to grow food (4th trumpet). Of course, a large passing body leaves no mystery as to the cause of the global great earthquake strong enough to shift all the islands and mountains. And when the next trumpet, the 5th, kicks off the Great Tribulation (Dan 12:1= Rev 12:7-17=Rev 8:12-13=Rev 9:1-6;11-13), it's also no mystery how the Antichrist really comes to power—on the wings of a global disaster that he can promise to fix in exchange for food and worship. And yes, that means the Wormwood disasters are all pretribulational (and before even a supposed pretrib rapture). As you might have noticed, understanding Wormwood is a major key to understanding Revelation and as we have seen, even the Olivet Discourse. 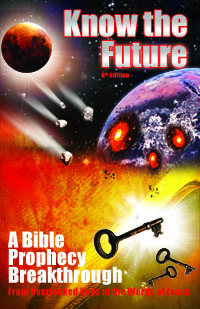 If you want help getting a full understanding of that and the entire roadmap of events that Daniel, Jesus and John the Revelator laid out for the years ahead, check out my book Know the Future. Finally, some might think that Matthew 24's earthquakes, plagues and cannot happen all at once as I have said because it says they are the "birth pains" which happen over time in real life. This is a good question. To clear up this doubt, it helps to reread what Matthew and Mark say carefully (quoted at the top of this article). It says that the earthquakes (along with kingdom vs. kingdom, i.e. WWIII) are the "beginning of birth pains/sorrows." 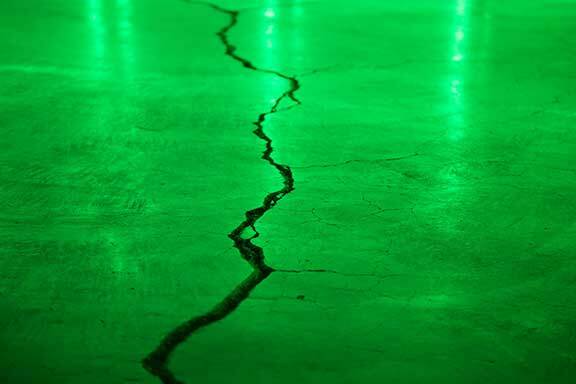 The sudden Wormwood earthquake and impacts are only the beginning of a series of disasters. Wormwood does not encompass all the birth pains. The other "sorrows" leading up return of the Messiah include the destruction of the USA, the rise of the Beast, the Beast's war against his remaining enemies to the north and east, and the wrath of God itself. For more on the birth pains and sorrows, see my article explaining what Jesus meant by using the birth pain metaphor. As we have seen, the kind of earthquakes Jesus referred to in the Olivet Discourse as the commencement of the end were not the random earthquakes that we have seen for the past 2000 years since he spoke of them. They were not even an increase the severe type we see in one city at a time. They can only refer to earthquakes associated with disturbances from space, plagues and famine. And these terrors happen together everywhere at once, as Revelation and the Hebrew Matthew agree. However, these conclusions took quite a bit of digging to find. Some very familiar and very basic passages of the Bible are not easily and readily understandable from a cursory reading. To get to the heart of the matter takes a careful reasoned approach to reading the Bible. It takes comparing passages in the text and thinking it through. It also takes comparing multiple Bible versions at times. Sometimes it even requires thinking like a maverick and rejecting the “scholarly consensus,” such as on what Bible manuscripts to pay attention to. Satan deceives the whole world, including Christian scholars. Although enlightening, I know the information in this article may also be frightening for some. To be sure, random earthquakes gradually increasing in the end times which always seem to happen somewhere else are preferable to a global earthquake associated with deep impacts from space which are sure to touch us all. We can be sure they will since this prophecy takes place pretrib, meaning a pretrib rapture cannot save you from it. Knowing all of this is then yet another reason to seek God daily and get back to reading your Bible for discernment and building your faith in God's goodness. Zephaniah 2:3 (HCSB) — Seek the LORD, all you humble of the earth, who carry out what He commands. Seek righteousness, seek humility; perhaps you will be concealed on the day of the LORD’s anger. See my book for the complete details on how God plans to save his people on earth from Wormwood and the Great Tribulation. Thanks, BroTim for this highly enlightening article. May the Lord Jesus Christ continue to bless your ministry. Thank you for revealing your step by step approach. Your work inspires me to keep reading my bible and now, to read various versions. The thought of so many revelations just waiting to blossom is exciting intriguing and comforting. The is is a really good article. It’s definitely difficult to discern weather something is prophetic or not when surrounded by people who are swayed by there own emotions and desire for Jesus to return. This is very helpful for me. However today I couldn’t help but notice there was a huge surge in volcanic activity along with other earthquakes and even a tsunami warning! I know these are normal things that we’ve always seen however it all seemed to occur within 24 hours. It was one thing after another. I’ve never seen anything like that before, what is your take on that? Is that truly a coincidence?